Purplera1n, the jailbreaking tool for iPhone 3GS (3G S) has been released by George Hotz. By using purplera1n to jailbreak iPhone 3GS, user can install unofficial or unauthorized applications which do not make it to Apple App Store in iPhone 3GS. And Ultrasn0w can be installed to unlock iPhone 3GS. Purplera1n uses iBoot Environmental Variable Overflow bug that presents in iPhone 3GS bootrom to inject code to jailbreak iPhone 3GS. Here’s the brief guide on how to use Purplera1n to jailbreak iPhone 3GS on firmware OS 3.0. Important note is that Purplera1n is meant for iPhone 3GS only, and is not an unlock tool to break the SIM-lock. Download latest version of Purplera1n from http://www.purplera1n.com/ (Purplera1n for Windows or Purplera1n for Mac). Download and install iTunes 8.2. Connect iPhone 3GS 3.0 to computer. Backup all contents on iPhone 3GS. Double click on purplera1n.exe to start running Purplera1n. Wait for iPhone 3GS to enter recovery mode. And then Purplera1n will reboot the iPhone 3GS device. 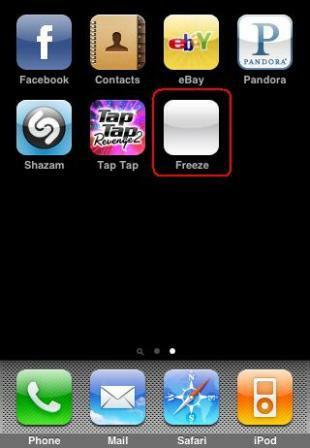 After iPhone 3GS bootup, there is a app called Freeze which is the Purplera1n installer app on the Springboard. 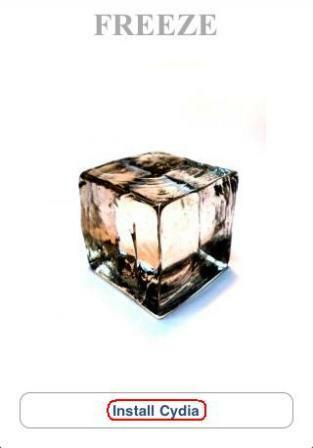 Click on Freeze to run it. In Freeze screen, click on Install Cydia. Cydia will be downloaded and installed. The status will change to “Finished” once the whole jailbreak process is finished. If the Cydia does not show up after Freeze is completed, reboot the iPhone. Launch Cydia and let it run all the necessary updates. Currently, Purplera1n is only available for Windows system. Some apps such as WinterBoard and VOiPOver3G still does not work properly on iPhone 3GS, so if you’re looking to install these apps, it’s possible to wait for the update been released before jail breaking the iPhone 3GS.